We deliver e-commerce solutions on custom proprietary software as well as Opensource software and it depends on your business specific needs as well as your affordability. Our expert .net developers know the latest tools and technology so we can yield superb results for your e-commerce store. Our custom Java Development let you reach at desired level of personalization and augment the functionality of application as per your business needs. What we offer that place you on top of other ecommerce store competitors. 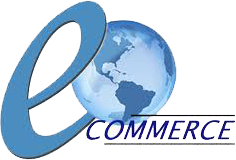 We are a professional E-commerce Website Development company. We design or develop with customer oriented features. We highly focusing on making e-commerce websites that are faster in performance, convenient in use and offer features that enhance shopping experience of its users. Peerbits offer E-commerce Website Development that perfectly caters to the requirement of B2B and B2C businesses. We have an expert SEO team ready to give advice so our E-commerce Website Development is with SEO point of view. We implement expert advice in your projects so your e-commerce store has higher page rank. Our e-commerce solutions are with enhance security, flexibility and with scalability. We offer custom navigation that works for every shopper. CSS based code makes application lightweight so it declines page load time. Better converting and verified checkout method. Our E-commerce Website Development has product and order summary, including product names, prices and special features of product. You do better promotion of your product or service by offering online coupon, free shipping, etc. • Various payment options which are most viable in your regions. If you are convinced to develop your e-commerce website with Peerbits and want further assistance contact our representative or push Enquiry button you will have advice from our expertise.